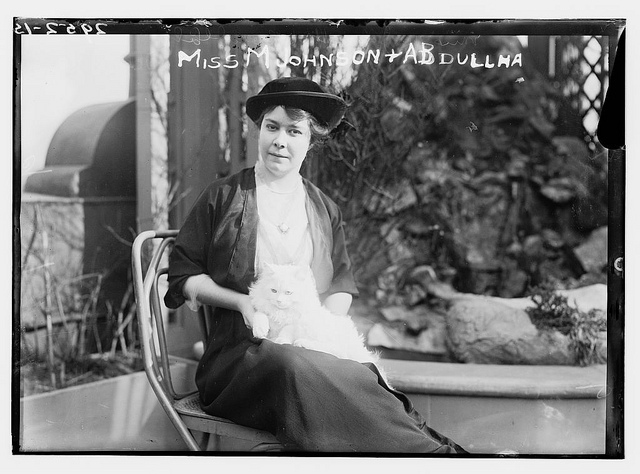 Contrary to what the internet might have you believe, taking pictures of cats is not a new obsession. Since the dawn of photography, people with cameras have been aiming them at their pets who, though not always the most willing subjects, are usually the most handy. 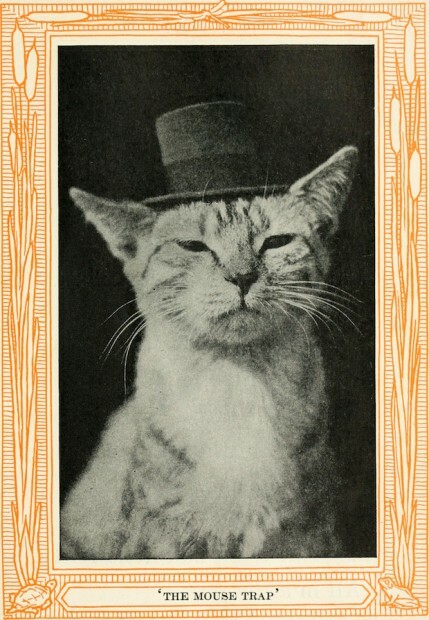 We took a trip through the archives to find some cat photos from way back when, to show that a.) our collective love affair with cat pictures is an old one, and b.) 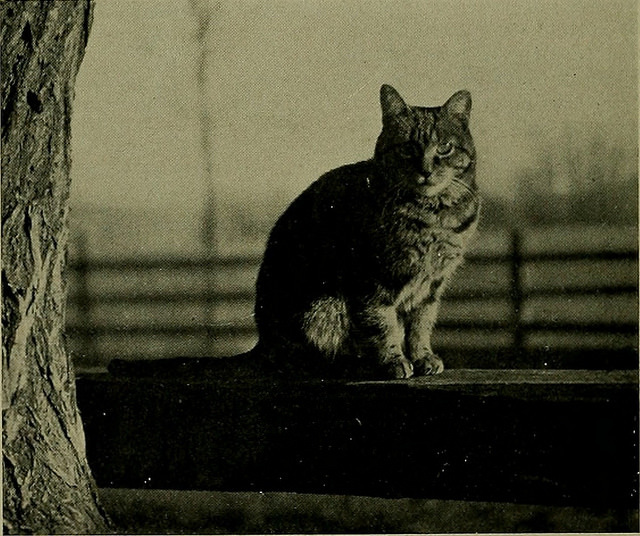 the cats of the olden days were also very cute. 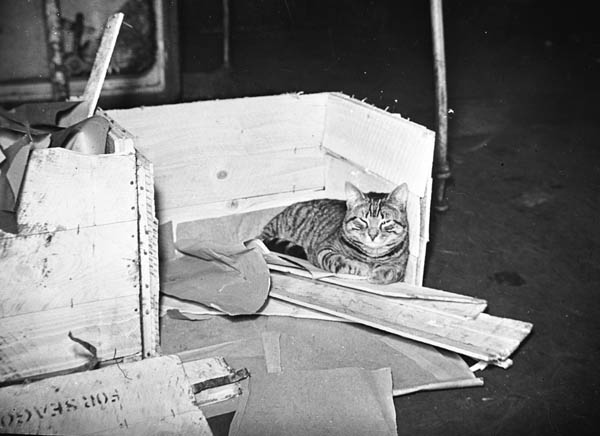 This cat’s name was Whisky, and he was the “pet and mascot of HMS Duke of York,” a Royal Navy vessel from the late 1930s. 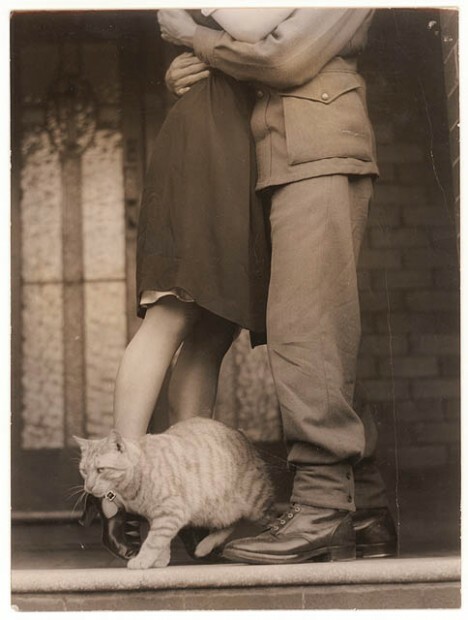 Bobble the cat photobombed a special moment between a soldier and his lady-friend. Photographer Sam Hood didn’t seem to mind too much, though. He made a lot of pictures featuring people and animals. 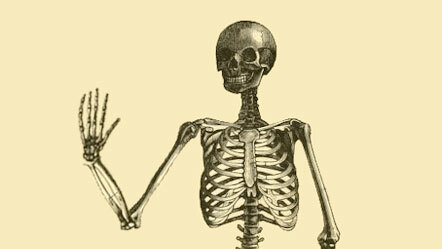 Photo via the State Library of New South Wales. 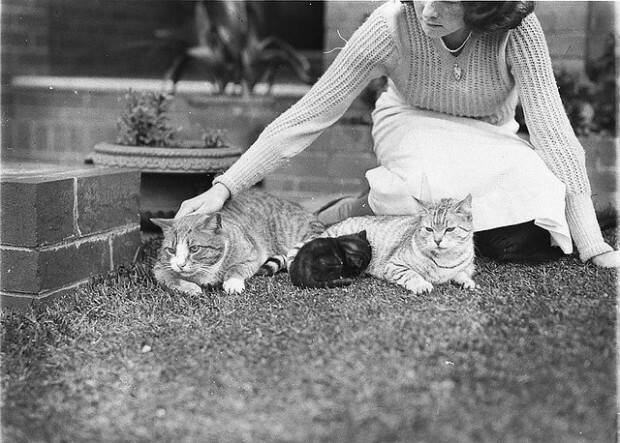 Like this girl with several cats in 1930. 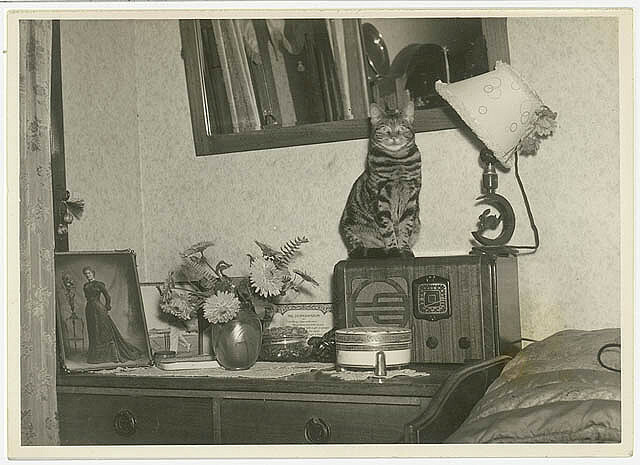 Hood also just photographed animals, sometimes, like with this portrait of a cat perched on a radio. 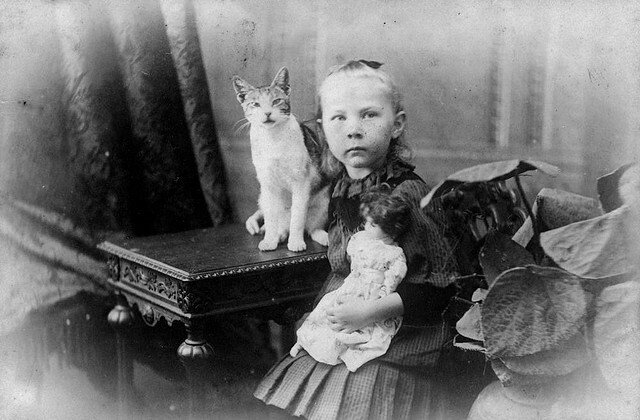 Also not new: People enjoying having a fine portrait taken alongside their pets. One of the first rules of portraiture is to make sure your subject is comfortable. This subject (Hulda Lundager, daughter of photographer Jens Hansen Lundager) seems pretty happy with both a doll and a cat. 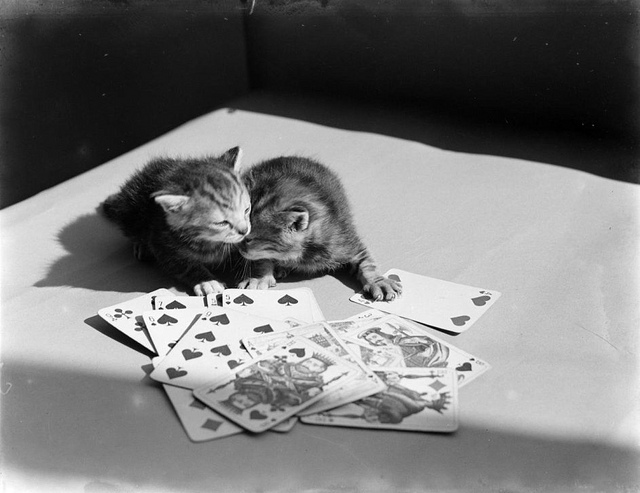 Cats playing cards. Because why not? Here’s another from a book, entitled Kittens and Cats; A Book of Tales. Why the authors of this 1911 publication opted not to go with the obvious “tails” pun is undetermined.